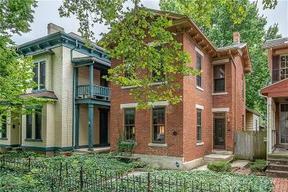 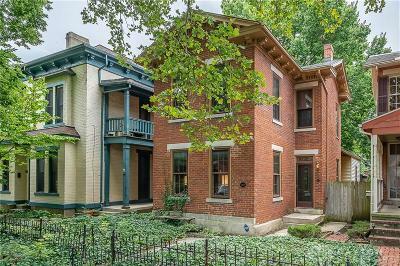 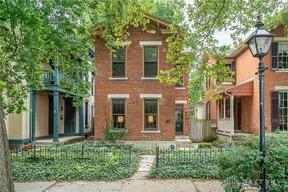 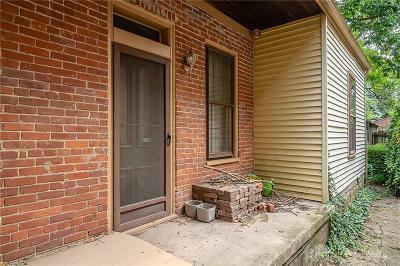 Oregon Historic District The original wrought iron fence with ornate gate welcomes you while original limestone walks & steps lead to this classic brick Federal home, built in 1845 by Jacob M Wolfe features ornate cornices, limestone headers & sills. 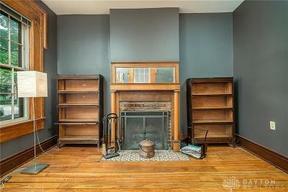 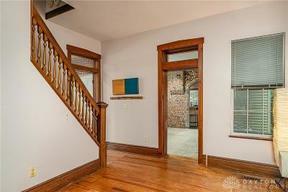 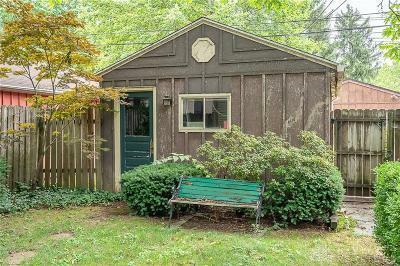 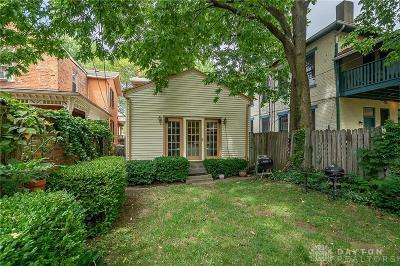 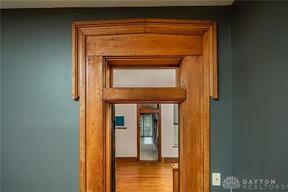 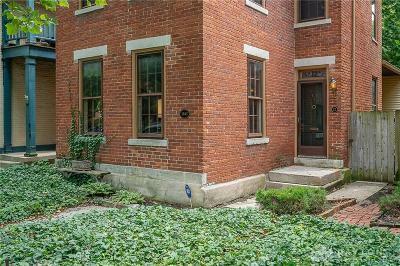 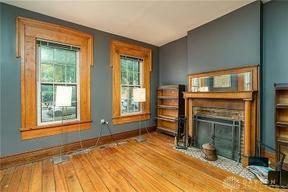 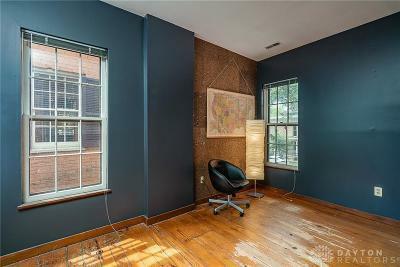 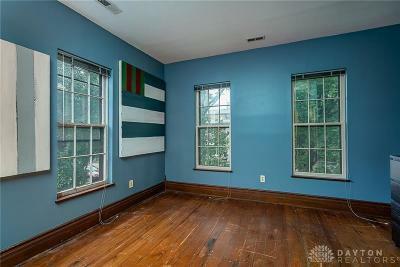 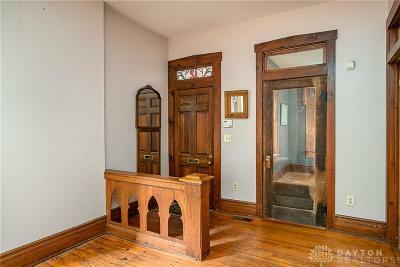 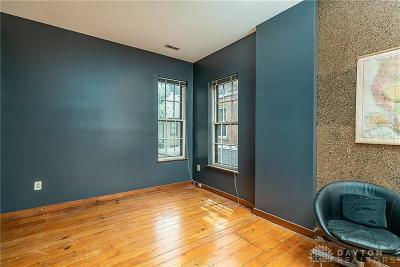 10 foot ceilings on the first floor, lots of natural wood floors, open staircase, fireplace surrounded by a mirrored mantle, original wide window and door frames in many of the rooms. 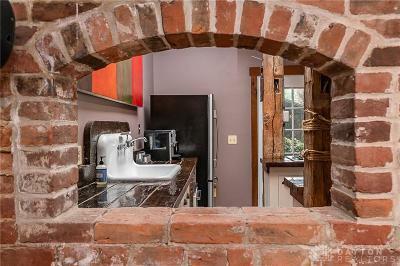 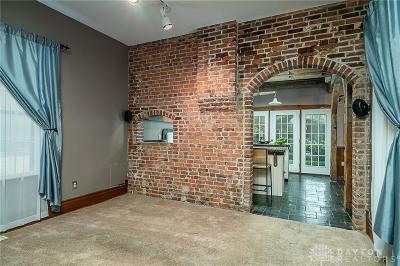 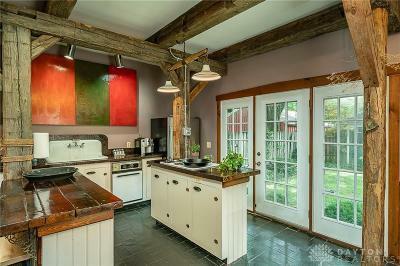 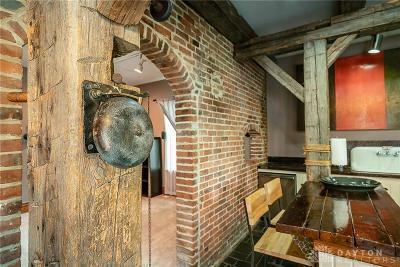 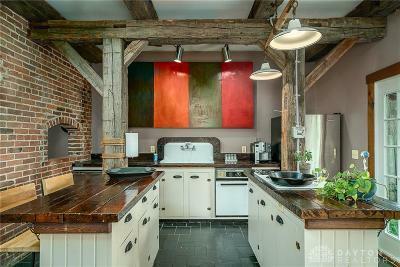 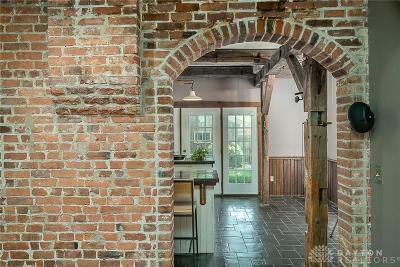 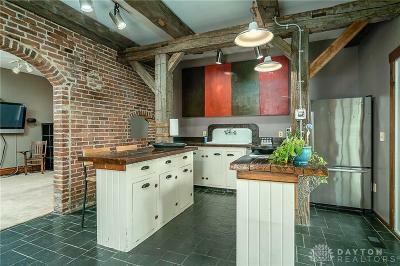 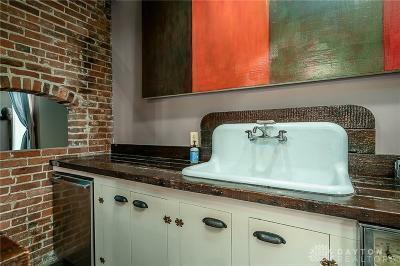 Eat-in kitchen sports two islands, stainless dishwasher & refrigerator, antique cast iron farm house sink, slate floor, exposed brick wall w/arched door way & arched pass through, reclaimed vintage plank counters & exposed barn beams. 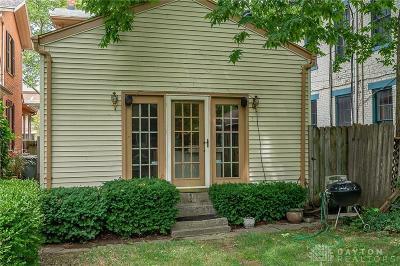 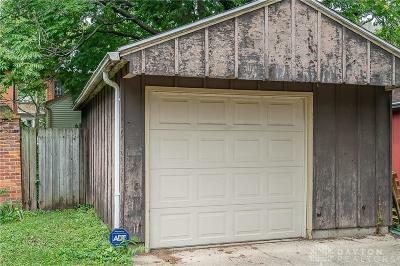 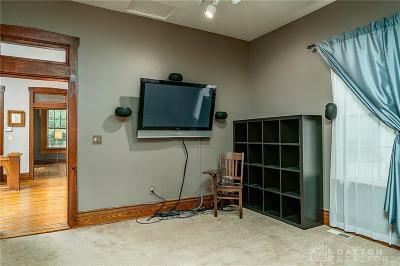 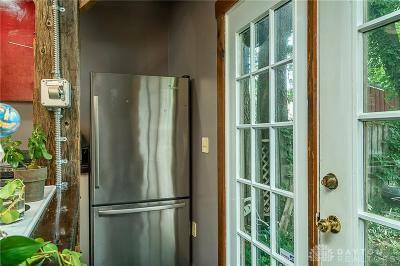 Full view door opens to a private rear yard with a brick wall & oversized 1 car garage. 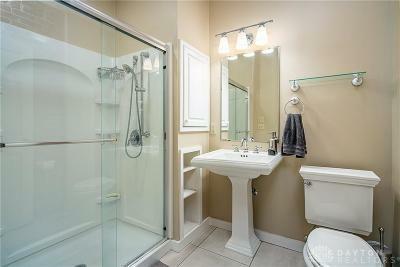 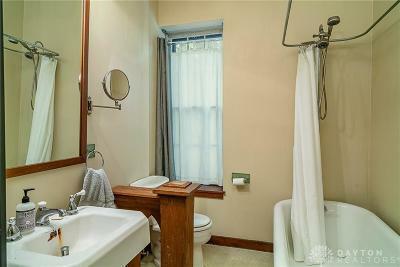 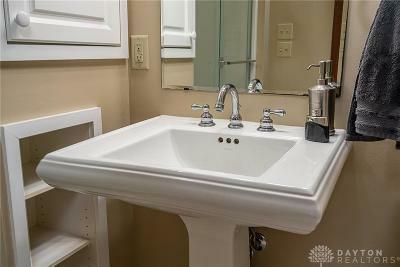 Newer full bath on 1st floor(2004)helps to make it possible to use the front room as 3rd bedroom or guest room. 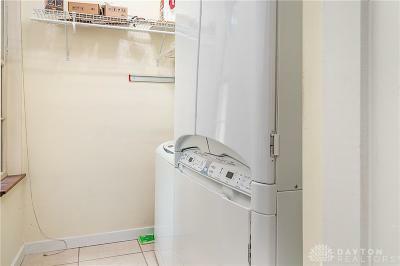 First floor laundry w/washer and dryer/dry clean cabinet (2004). 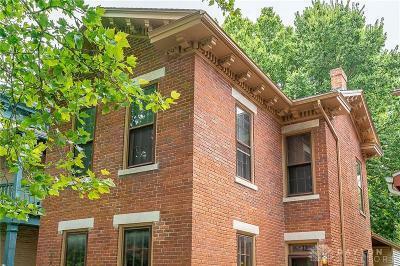 The 2 story portion of the house had new roof shingles installed Fall 2014.